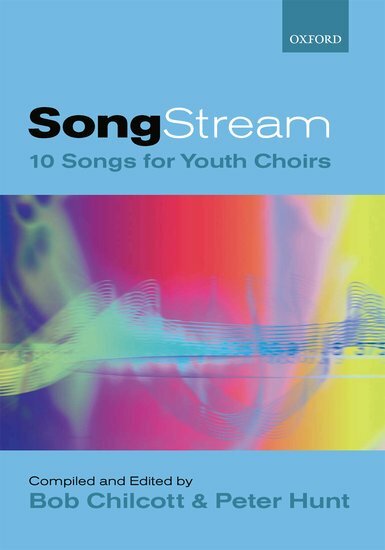 SongStream is an exciting and innovative collection of 10 songs for youth choirs. Largely scored for SAB, with some divisi and optional parts, these songs combine the music of Bob Chilcott and the Voiceworks approach of Peter Hunt to present a dazzling array of pieces in all styles for young singers. Here are original compositions and arrangements, a gentle Japanese song and a gutsy setting of a Native American text, a funky spiritual and a Beatles encore, a tranquil folksong and a song noisily celebrating life and youthful energy. Accessible, relevant, and heart-warming, these pieces will communicate directly with young singers and their audiences and freshen any concert programme.